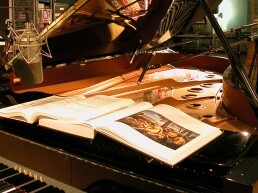 Maison D'Musique | Pilchner Schoustal International Inc. This is an enviroment built solely as the personal production space of Stephan Moccio. 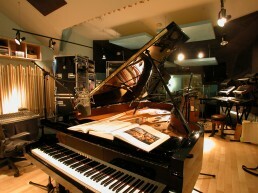 As a noted pianist, the importance of the instrument is regarded by it’s central dominance in the use of the control room space. 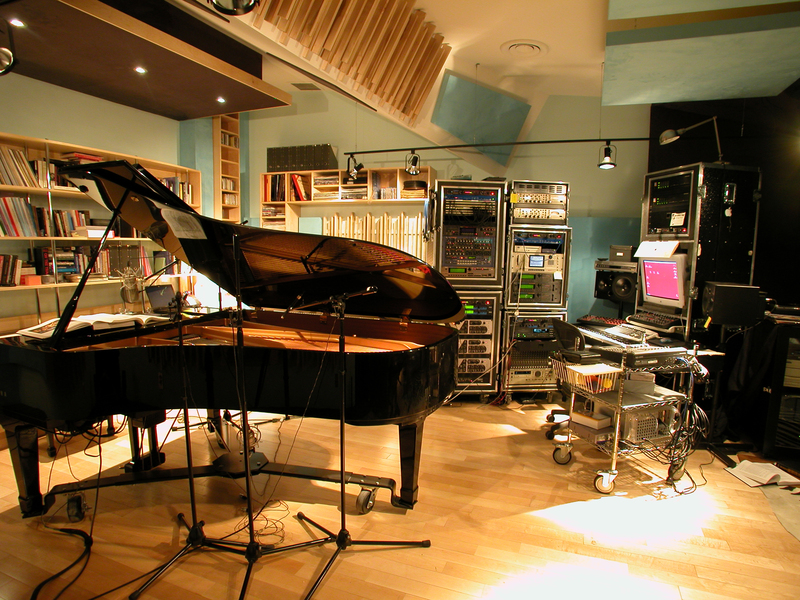 The control room is in essence the performance space. The extensive equipment lineup is deliberately kept flexible and is able to be physically relocated within the space, as determined by the performance or compositional requirements. 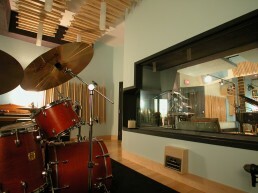 The facility features the control room/performance space, as well as an adjacent studio proper. 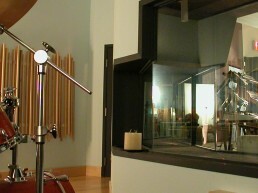 Both rooms feature similar approaches to acoustic treatments, with a blend of specular sound absorption, low frequency trapping and slat-type numerically sequenced diffusors.